Tooth whitening, sometimes known as ‘bleaching’, is becoming an increasingly popular trend, especially in the modern ‘selfie’ era. Whitening is an effective way of lightening the natural colour of your teeth without damaging or removing any of the tooth surface. To learn more and to find out if you are suitable for whitening treatment, telephone the practice on 01684 573109. Several over-the-counter products, such as whitening toothpastes, can be used to superficially whiten teeth but, although these can remove some plaque and surface stains, they aren’t able to produce dramatic whitening results because they can’t change the underlying colour of the tooth. Only whitening treatments provided under the supervision of a dentist or qualified hygienist contain the professional-grade bleach required to change the actual colour of your teeth. For the best results we offer the Opalescence professional tooth whitening system. 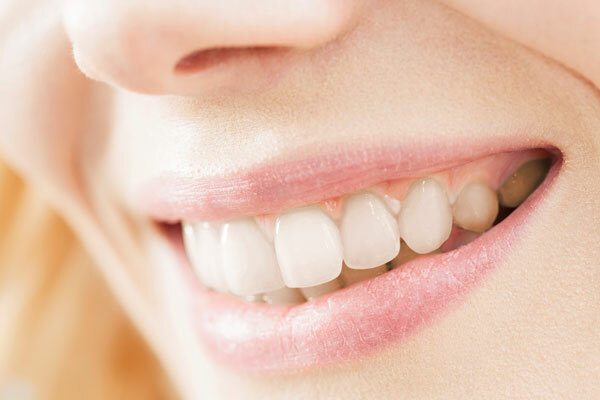 This is a safe and convenient process which involves taking an impression of your teeth so we can make bespoke bleaching trays for you to use at home. We provide you with the gel, which you place in the trays and then wear every night for two weeks, magically whitening your teeth while you sleep! Is tooth whitening suitable for everyone? Almost. There are a few patients for whom whitening may not be advisable, which is why it’s imperative to only have teeth bleaching done by a qualified dental professional. Can you whiten dead (root canaled) teeth? Yes, any natural teeth, alive or dead, can be whitened. No, the whitening gel only affects natural teeth. Will the whitening cause or increase tooth sensitivity? The reason we choose home whitening over quicker in-surgery options is that it allows for a more gradual bleaching process, less likely to cause sensitivity. Whitening is like setting back the clock on the colour of your teeth, but they will start to darken again with age and to collect stains just as they would if you’d never had them whitened. The key to keeping your teeth white as long as possible, whether you have them whitened or not, is avoiding food and drinks that stain teeth, such as coffee, tea and red wine, and of course maintaining your dental hygiene routine.